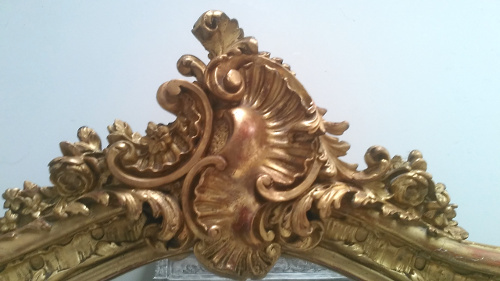 This beauiful French antique rococo style mirror would look stunning over a mantlepiece. 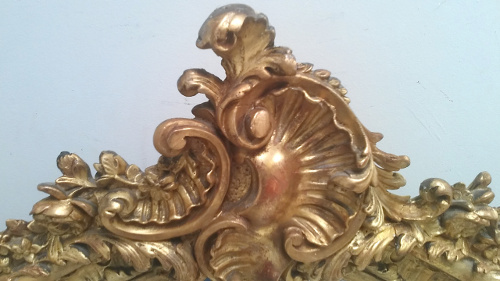 It is has a carved and gilded frame with a decorative crest with a shell to the top featuring, shells, flowers and leaves. is in very good condition with minor foxing and speckles in keeping with its age - c.1900.